Benmore, a Northern Irish developer, are expected to confirm a deal with InterContinental Hotels Group (IHG) to build a five star hotel above Manchester’s Theatre Royal. Under the terms of the deal the Royal will be fully preserved and handed over to the theatre for occupation. 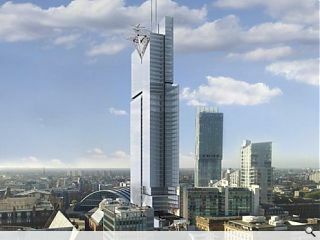 Designed by Stephenson Bell the scheme is expected to cost £80m and could rival the city’s famous Beetham tower in height with a dramatic helipad perched atop. 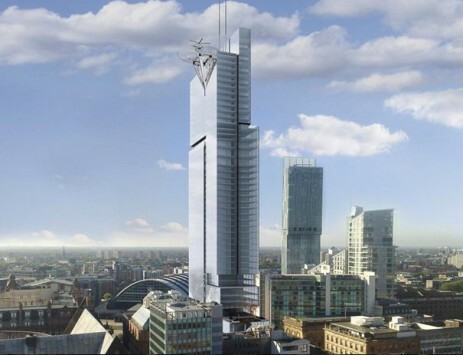 A major factor in the deal is said to be the centyral location, directly opposite Manchester Central convention centre.